If you would like to increase the performance of your website in order to improve the user experience with good page loading speed you can use the integrated performance optimization settings of the Open Atrium platform. 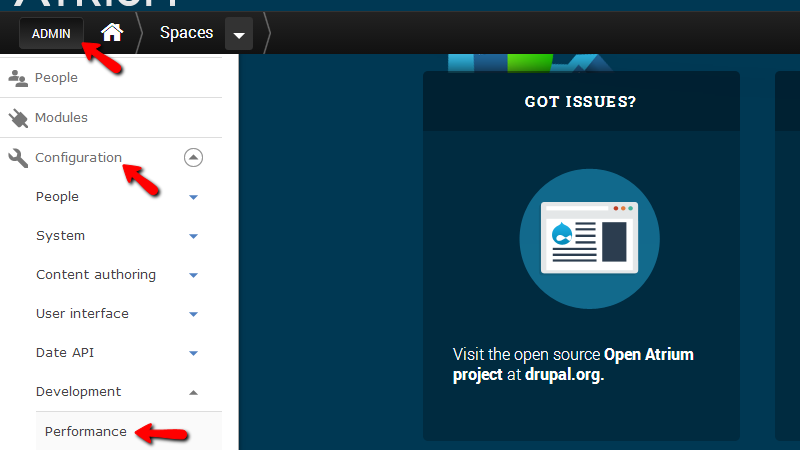 In this tutorial we are going to show you how to configure the performance of your website. Let’s begin by accessing the Performance page of your website. 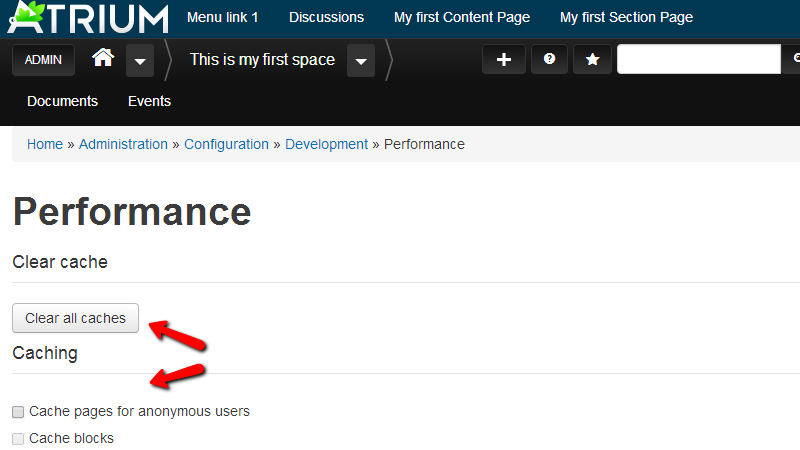 That page can be accessed via Admin > Configuration > Development > Performance. Once you access the Performance page you will notice that there are few options related mostly to the caching of your website. Let’s begin with the configuration of the cache service of your website. At the top of the page you will notice the Clear all caches button which you can use if you would like indeed to clear all of the cached contents currently. Next you will notice the checkboxes Cache pages for anonymous users and Cache blocks. These options are respectively for enabling the cache feature for not logged – annonumous users and also to enable the cache of the blocks on your website. We are not recommending clearing the cache too often nor enabling the cache for anonymous users. 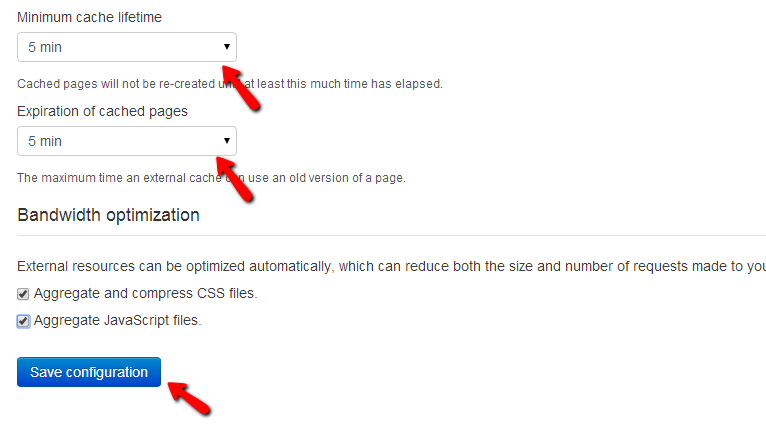 Next you will find the settings for the Minimum cache lifetime which will allow you to choose the period for which the contents should be cached on your website and also the Expiration of cached pages settings which will allow you to configure the maximum time for a cached page can be used by an external cache engine. Last in the list you will find the Bandwidth optimization settings where you will be able to configure the aggregation and compression of CSS and JS files in order to reduce the total page size and requests. Once you are done with the configuration please click on the Save configuration button so you can save all of the performed optimizations on your website. Congratulations! You have successfully optimized your website using the integrated optimization tools of Open Atrium!